These generic golf medals have a bright gold finish and have a diameter of 50mm / 2in. They include a ribbon loop and feature a design on the front that includes a golf ball and golf bag over a golf course scene. 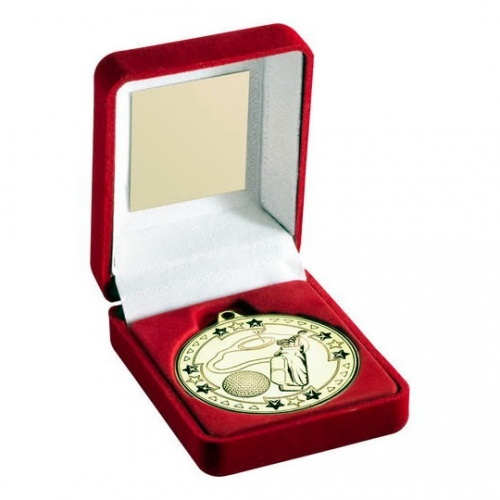 They have a star studded border and are supplied in a red hinged and lined presentation case. The longest side of the presentation box is 3.5in.